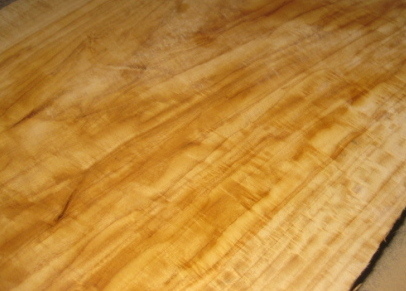 Primavera (Cybistax donnell-smithii) is also known as Blond or White Mahogany. Currently available in lumber, turning stock, slabs, musical stock and logs/billets, Primavera is prized for it's lusterous, Mahogany-like grain and fantastic workabilty. Great choice for variety woodworking projects, Primavera is also quickly becoming the wood of choice for a variety of musical instrument manufactiures such a acoustic and electric guitars and custom drums. Please contact us directly for more information in regards to available select sizes, custom-cut material, wholesale pricing, etc.